Peony is quite a flirty bear, but I bet you guessed that already. Well, if you had those long eyelashes, wouldn’t you use them to get your own way? Her favourite day is Valentine’s day; everything is a beautiful red colour (her favourite colour, of course). Peony especially loves red roses, and she will flutter those long eyelashes at you regularly on the run up to Valentine’s day hoping that you’ll buy her one. 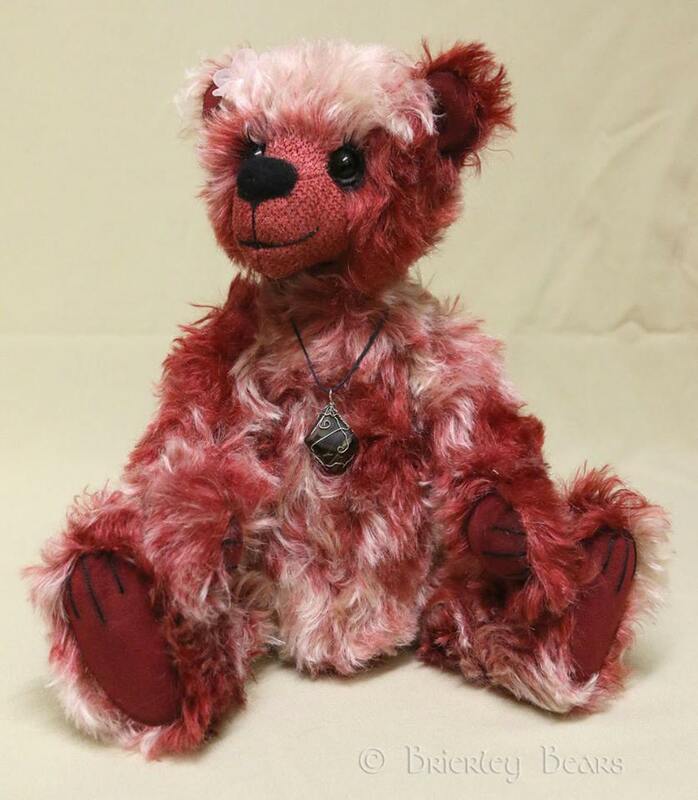 Peony is a one of a kind artist bear of my own design. 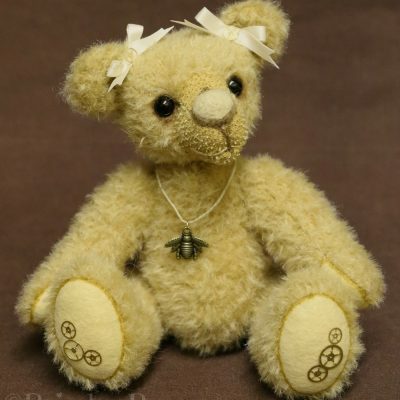 Peony is approximately 14″ (36cm) tall, measured standing. She is made from red and white curly mohair, has red embroidered ultra-suede paw pads. 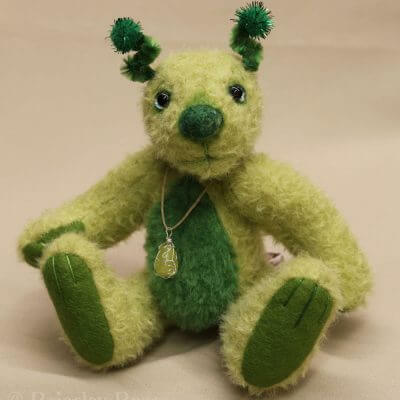 Peony is five way jointed, with a nut and bolt joints in her arms and legs and a cotter pin neck joint, and is filled with heavy weight polyester fibre and steel shot. She has black glass eyes set atop white felt and has long black eyelashes. Her face, paws and ears have been carefully hand shaded. Peony is also wearing a pink flower in her hair and wire wrapped red tigers eye pendant around her neck. Email me at kat@brierleybears.co.uk to discuss.